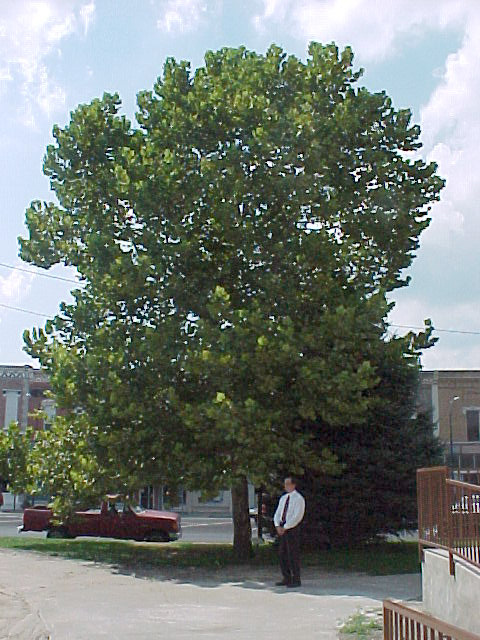 The Unionville, Missouri second generation Moon sycamore (platanus occidentalis) was planted in November 1988 by the Putnam County Historical Society and other citizens of Putnam County. The tree was donated by Stan Lemaster and Theodore Klein as part of the Historic Tree Museum on the courthouse lawn. 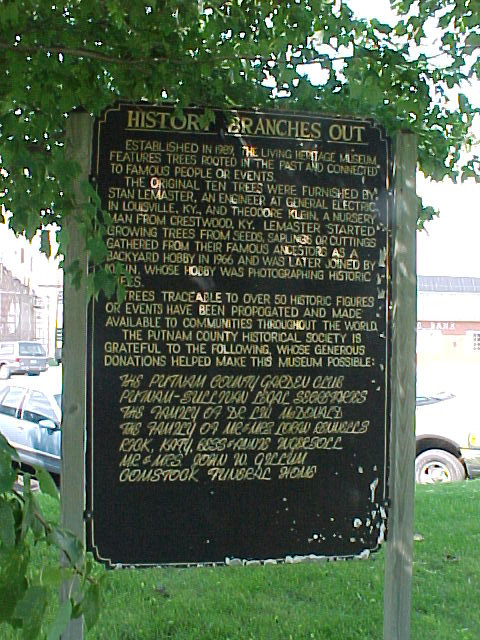 Shown in the image above standing next to the tree is Tom Keedy who helped establish the Museum. 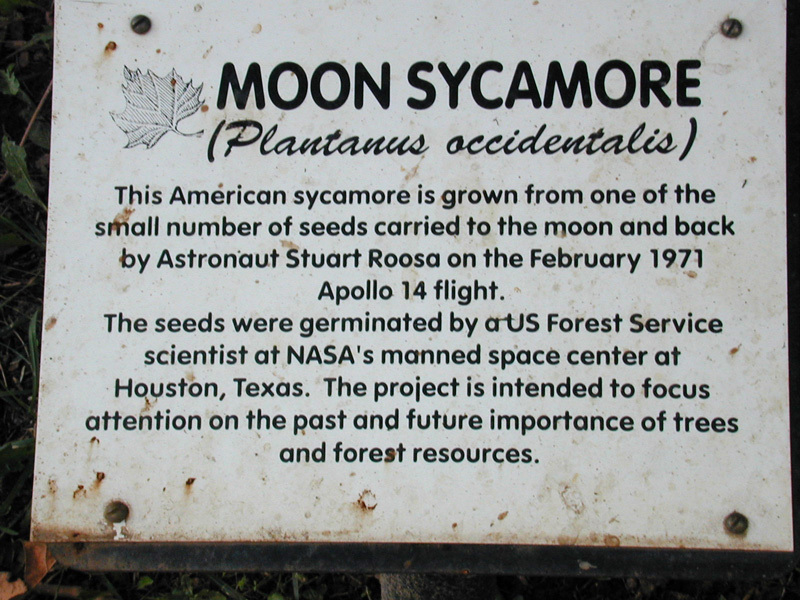 (Although the plaque says the sycamore was planted from the seeds carried to the Moon it is believed this is actually a second generation tree.) The sign below gives information about the Museum.